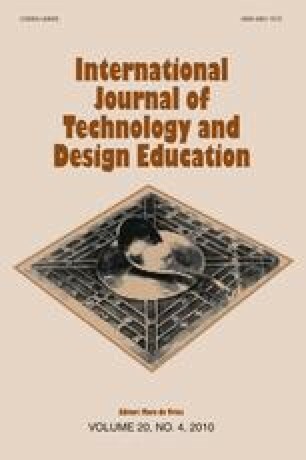 This paper proposes a compensative model for self-regulated learning in technology education (SRLT) comprised of cognitive, metacognitive and motivational domains. Discussion of the cognitive domain centers on problem-solving and creativity, with a focus on the need to engage students in open-ended assignments in informal contexts and to teach them a repertoire of methods, strategies and heuristics for inventive design and problem-solving, rather than letting them search randomly for ideas or use the trial-and-error method. The notion of metacognition deals with peoples’ ability to be aware of and control their own thinking, for example, how they selects their learning goals, use prior knowledge or intentionally choose problem-solving strategies. Self-regulatory behaviour is highly correlated with an individual’s motivation to handle challenging assignments, and with his or her internal satisfaction from being engaged in a task that contributes more to creativity than to receiving external rewards. Another important factor is an individuals’ self-efficacy belief in their ability to handle a highly demanding assignment determined by previous positive experience in similar tasks and the existence of a supportive social and emotional environment. The SRLT model highlights the interrelationships between the cognitive, metacognitive and motivational aspects of learning, problem-solving and invention. For example, teaching students problem-solving strategies could help them accomplish a task, improve their ability to monitor their own thinking and reflect on their learning, and enhance their self-efficacy beliefs about problem-solving and creativity. The teachers’ role in promoting SRLT education and directions for further research are also discussed. Thomas, J. W. (2000). A review of research on project-based learning. Autodesk, San Rafael, CA. Retrieved March 15, 2009, from http://www.bie.org/files/researchreviewPBL.pdf.